Professor Danielle Mazza is an academic general practitioner and author of the textbook “Women’s health in general practice”. Her major interest is in translational research, particularly. Current research involves closing evidence practice gaps in preventive care, women’s sexual and reproductive health and cancer screening and guideline development and implementation, especially using patient based strategies. 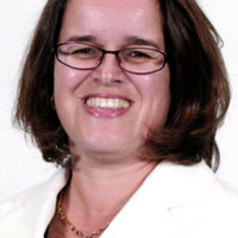 Danielle has previously held the positions of Medical Director of Family Planning Victoria, National Director of Quality Assurance and Continuing Education for the Royal Australian College of General Practitioners (RACGP) and Associate Professor of Family Medicine at the International Medical University in Kuala Lumpur, Malaysia. She is currently a member of the RACGP’s National Standing Committee on Quality Care and has been on the committee revising the RACGP’s Preventive Care Guidelines (the Redbook, two Medical Service Advisory Committees (advising the Australian Minister for Health and Ageing on evidence related to new medical technologies and procedures) related to cervical screening and until 2008 was a Board member of the Bayside General Practice Network (Division). In 2009 she completed a prestigious National Institute of Clinical Studies (NICS) – HCF Foundation Fellowship addressing the implementation of preconception care guidelines in the general practice setting. She remains in active clinical general practice at the Brighton Medical Clinic and in the Choices Clinic at the Royal Women’s Hospital. Danielle’s focus is on postgraduate training. She is course coordinator of “women’s sexual and reproductive health in general practice” (a unit in the Graduate Diploma of Family medicine) and a Senior Medical Educator for the RACGP’s GPLearrning (online CPD program). She is an examiner for the FRACGP and the AMC. Her higher degree students are undertaking research in women’s sexual and reproductive health and preventive care and she has supervised both Australian and international students.